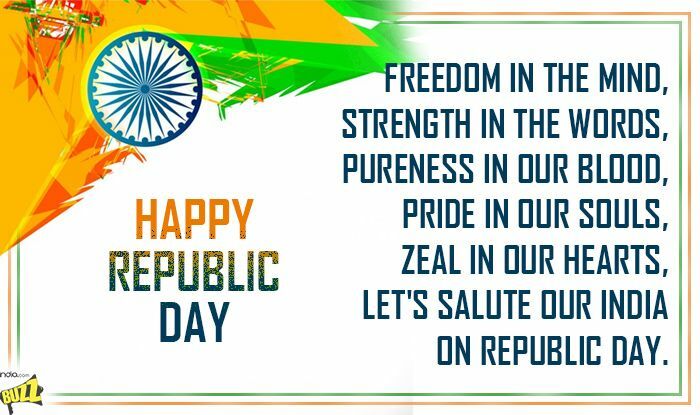 Give best wishes of Republic Day with these messages. 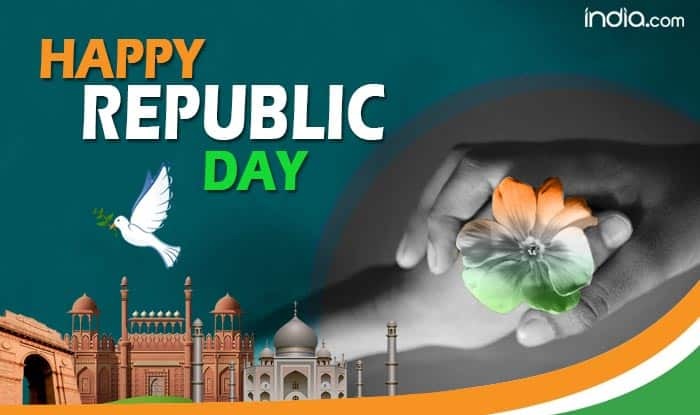 Republic Day is celebrated every year on January 26 with great pride. On this day in the year 1950, the Indian constitution came into effect and India became a republic nation. Today, we are celebrating 70 years of Republic. Indians celebrate this National festival with great enthusiasm. People pay tribute to freedom fighters and thank them for giving us an Independent India. The ceremonious parade takes place at Rajpath NewDelhi. People with patriotic feelings celebrate the day with friends with colourful fireworks, by carrying national flag, singing patriotic songs and by remembering our great leaders among others. Many cultural programmes are organised in the functions. Children narrate the story of freedom fighters through plays. In this era of social media, you can wish your friends and family. On this occasion, send these messages to your loved ones and give them best wishes. This Republic Day let’s also take time to pray for the martyrs. Happy Republic Day! Let’s spread the message which the tricolor gives. Let’s spread peace, humanity, and prosperity among the people. Happy Republic Day! 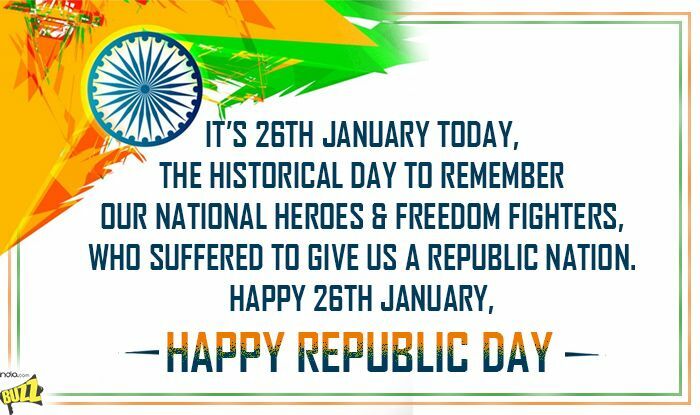 It’s 26th January today, the historical day to remember our national heroes & freedom fighters, who suffered to give us a republic nation. 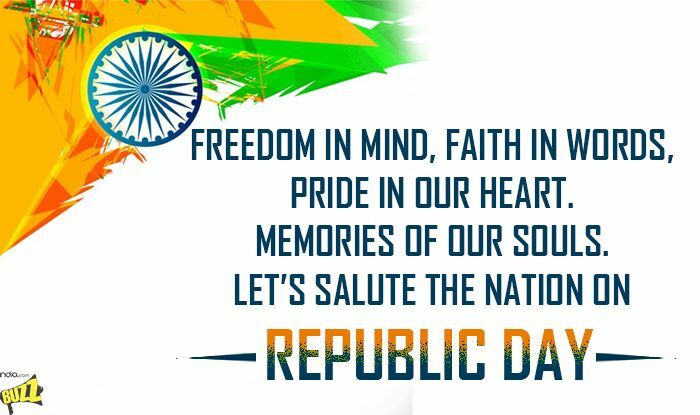 Happy 26th January, Happy Republic Day!